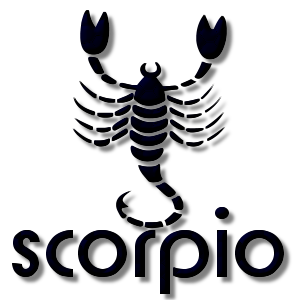 Add a Scorpio The Scorpion Zodiac stampette to your Facebook and Twitter profile images and show your star sign. In Greek mythology the hunter Orion bragged to the goddess Artemis and her mother Leto that he would kill every animal on earth. Artemis and Leto decided to send Scorpius the scorpion to test Orion. Orion and the scorpion fought, but the scorpion killed Orion with its sting. The battle caught the attention of Zeus, who placed Scorpius in the sky as a tribute.